Meet Atlanta-based R&B artist Dara Carter. Beginning her relationship with music very early in life, Dara has since evolved through her personal experiences into a creative powerhouse who commits herself to authenticity – something this world has been yearning for. Dara Carter captures the attention of audiences with her piercing voice and transparent spirit. Her music has the ability to inspire and heal. In addition to being a singer-songwriter Dara is also a model and avid philanthropist. She has represented her community as the president of her N.A.A.C.P. youth chapter and M.A.D., as well as concentrating on anti-bullying in schools. Dara plans to use her gifts to help bring about a shift to mindfulness in the world. 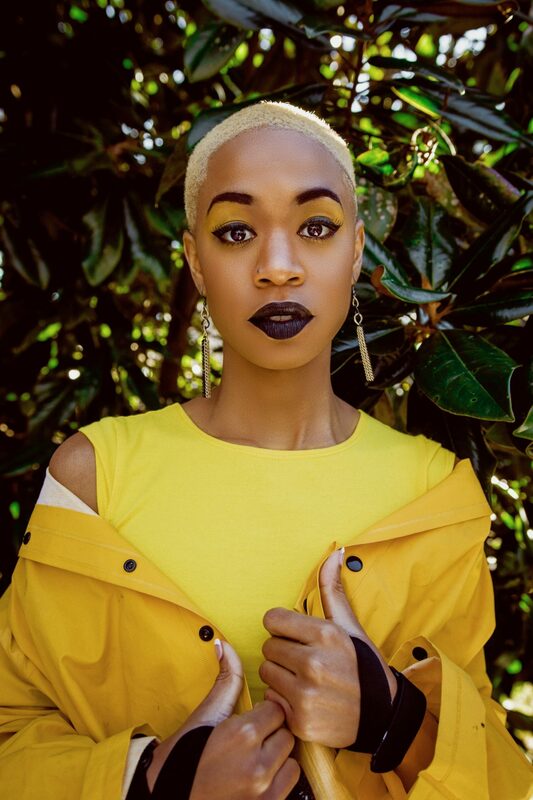 We had the pleasure of interviewing this rising star, and are excited to premier her video for her new single “Dragonfly.” The song is off Dara’s recently released debut album The Gem In I. The video, shot with an old school home movie feel to it, was meant to drive her message across of living a fun, carefree life, as the lyrics to the song are pretty profound. “Dragonfly” represents the idea that life is too short to be anything but free. I never really chose to be an artist, it’s who I’ve ever known myself to be. Growing up I was always surrounded by music. My dad was constantly listening to music and sharing it with my siblings and I. Seeing my early interest in music, my parents enrolled me in piano lessons, where I started my classical training. Around four I started realizing my voice and singing potential. With those skills I started songwriting at eight. After that, my path was set. I am grateful to have found my passion so early in life. I truly believe that music exists beyond sound. Music is metaphysical — it penetrates people at a level far deeper than just physical. Music has the power and potential to move people, cultures, and societies. I feel that those who pursue music have a choice to make. We have the potential to bring about beautiful healing and change, but we also have the ability to degrade the mind. As an artist, I have chosen the path of healing. The music that I create comes straight from the heart and is intended to penetrate the hearts of others. I aim to uplift, inspire, and unify others with my music as so many icons have done before me. My music will call for self-love, introspection, compassion, tolerance, and unconditional love. I hope to inspire and usher in a musical consciousness shift. Where do you usually gather songwriting inspiration? What was your songwriting process for Dragonfly? For me, songwriting happens in a dark room, behind a piano, in a meditative space. When I was young I used to play for hours until songs started pouring out. I found that this dark space was the place where I felt most at home. Even now, years later I seek that same space to create. One thing I love about songwriting in this space is that when songs finally appear to me, they appear completely at one moment. All I have to do is translate it to the piano and voice. I channel the song, trying to write as fast as my mind can imagine. Sometimes I miss it and forget before I have the chance to translate it, but when I do catch the entire idea, my most beautiful songs are born. My songwriting process for Dragonfly was no different than the rest — I had been sitting in the dark, piano propped up on my apartment twin bed, playing for hours and it appeared to me. This song was particularly exciting to write because it was a new sound for me. It came to me at a time when my paradigm of the world had been ripped open following a close brush with death. The way I saw the world was changing and this new discovery was reflected in my song. Once I finished writing it I was so excited, I called my closest friend at the time — a fellow musical genius who goes by the name Josias. He happened to have faced my near death experience with me. In all of the years we performed together, he had an understanding of the intricacies and the spirit my music, so I would always introduce my songs to him. He drove up to my apartment, listened to me perform the song live, and came to the same conclusion I had — my songwriting had evolved. What do you want listeners to take away from your music and, more importantly, this record? Dragonfly is precious to me because of all of my songs, it is one of the most revealing of who I am as an artist and as a person. I’ve had my share of struggle and raw self-destruction in my life, as most people have. At the time when I wrote Dragonfly, I was beginning the most intense shift in my life — from a low-self esteem, victimized, and fearful girl to an empowered woman. Dragonfly is therapeutic to me because it helped me through the changes that I needed to make in my life. It reminded me that the whole point of life is to enjoy it and live as vibrantly as you can, while you can. Dragonfly reminded me of my limitless power. It showed me how wide my wings are and how high I can soar. When listeners experience Dragonfly, I want them to find their own wings. I want them to listen with an open heart and be willing to experience the beauty on the other side of their pain. I want them to know that through whatever they face, they will go on. What are your future plans? A tour hopefully! I am so excited about the future! I am looking forward to spreading my music and message across the world. I consider myself a warrior of unity and music is my tool. This world demands healing and a shift towards higher consciousness and love. I’m ready to be a beacon and spread my light to others so that we may all experience the bliss of life. Stay tuned, there will be a tour! To stay updated, please visit daracarter.com. My interpretation of a Raw Femme is a woman who is unapologetically herself. She faces the world with pride and confidence because she knows she is a queen. She knows how to be vulnerable because she understands that it is the pathway to healing. She is an example and inspiration to other women to be themselves, no matter what it may look like to the world. A Raw Femme will have the fortitude to stand strong against adversity and the malleability to go with the flow of life. Thank you for being such a strong and beautiful voice for women in music. Show your support for this amazing woman. She’ll be taking over our airwaves soon enough!